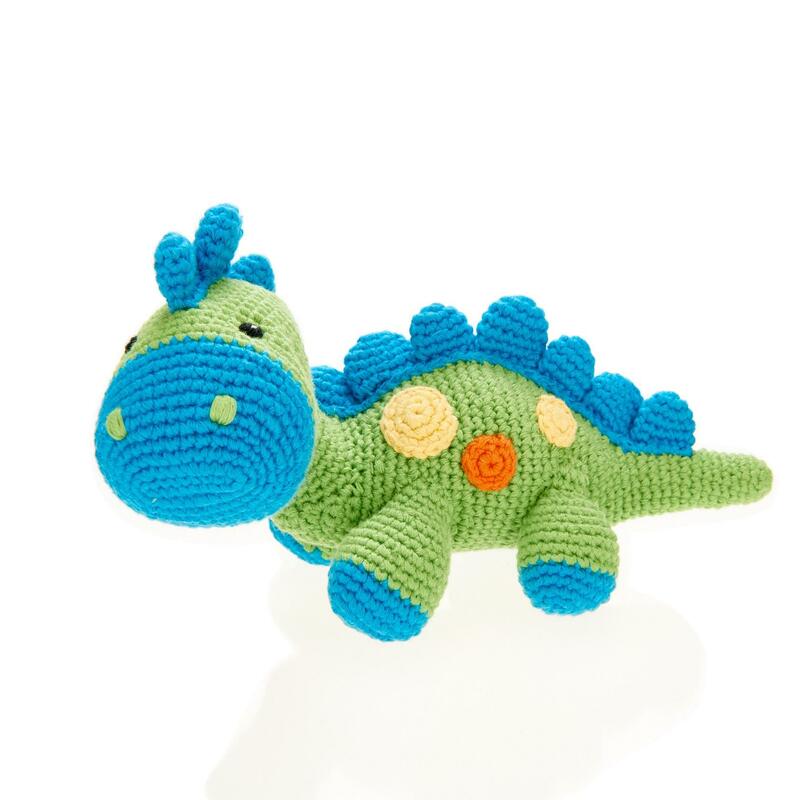 Our Pebble crochet baby dinosaur toy with rattle in blues and greens is suitable from birth and machine washable. Tactile crochet and a gentle rattle make it a perfect baby gift. This baby dinosaur toy would make an ideal gift for baby’s first Xmas.